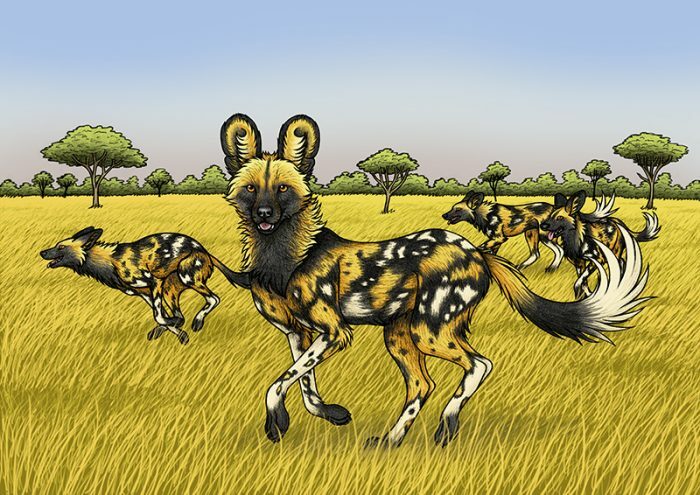 African painted dogs are mainly found in South and Southeast Africa. They are very sociable animals and live in packs of as many as 40. Sadly their conservation status is Endangered, and their population is decreasing. Their survival is threatened by many things such as habitat loss, accidental and targeted killings by humans, competition with larger predators such as lions, and viral diseases such as rabies and distemper.